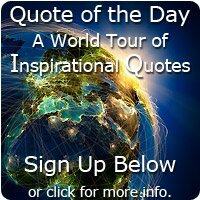 A collection of Earl Nightingale quotes and brief profile for your enjoyment. Profile: Born in Los Angeles in 1921, he lived in Tent City surrounded in poverty and as a boy he searched for answers as to why they were so poor. At 17 Earl joined the Marines and was stationed on board the USS Arizona when it was attacked at Pearl Harbor. He was one of twelve surviving Marines on board that day. After the war he worked in the radio industry, at the age of 29 Earl Nightingale read Think and Grow Rich by Napoleon Hill. In the six words "we become what we think about" he found enlightenment and he was inspired to go on and write The Strangest Secret which was recorded and went on to sell over 1 million copies in its day. 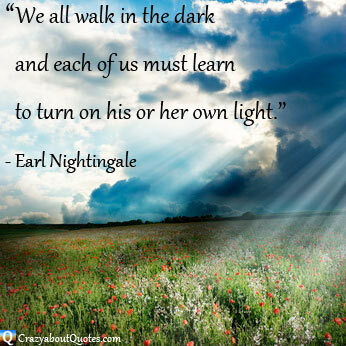 In the mid-eighties he wrote his first book Earl Nightingale's Greatest Discovery which won a literary award, and he was inducted into the Radio Hall of Fame after 40 years service and over 7,000 radio programs. 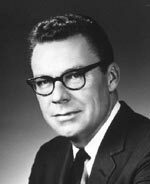 Having spent a lifetime inspiring people from right across the globe to live their lives to the fullest, Earl Nightingale died in 1989. "Learn to enjoy every minute of your life. you have to spend, whether it's at work or with your family. Every minute should be enjoyed and savoured." "All you have to do is know where you're going. The answers will come to you of their own accord." working at, and the rest of the time thinking about." of how you are using and have used your mind." with repetition and emotion will one day become a reality." to turn on his or her own light." "The big thing is that you know what you want." opportunities that were somehow absent before the change." Handpicked selections of what's popular, value for money, and getting good reviews on Amazon.